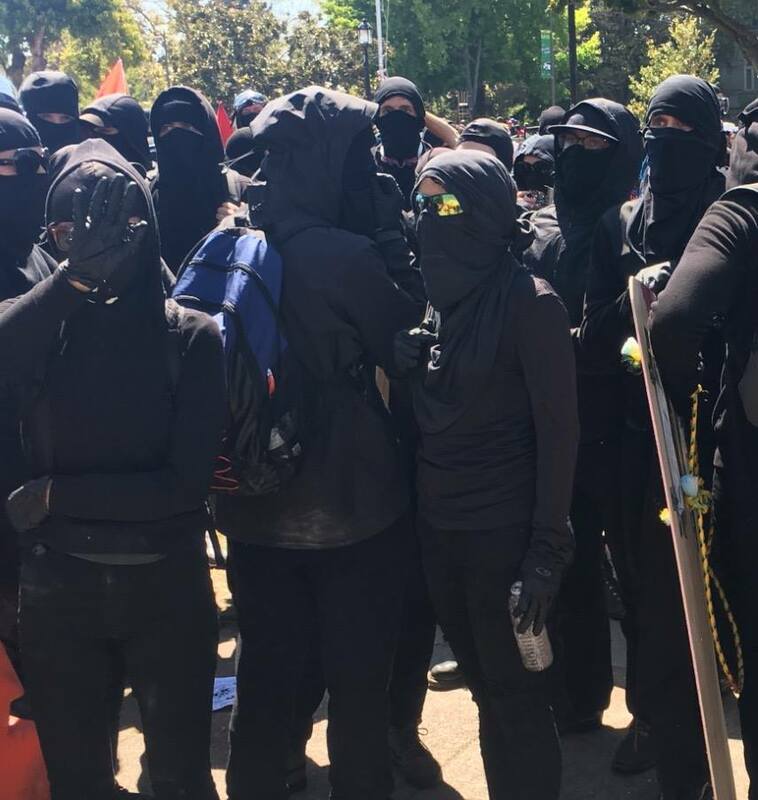 UnderCover Politics: KTVU 2's Frank Summerville and the Antifa Protestors in Berkeley California! 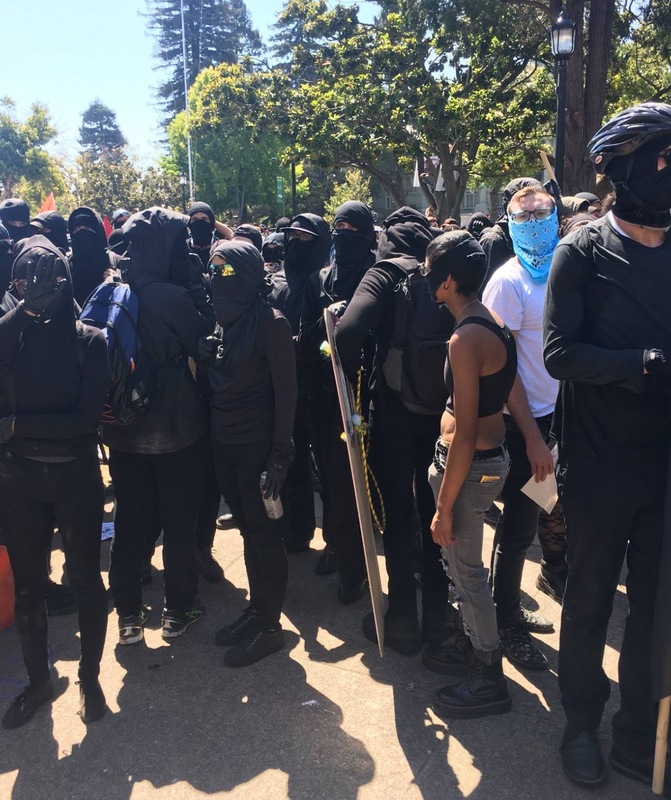 KTVU 2's Frank Summerville and the Antifa Protestors in Berkeley California! I experienced hate first hand today. Ironically they were all chanting about NO hate. Some had shields and gloves. I was watching them and taking it all in. I came there on my own time. Because I wanted to see things first hand. I was dressed in shorts and a tank top. At one point I took out my phone to take a picture. I took these two pictures and afterward they started screaming at me. I thought for sure they were going to attack. I was just waiting for it. But I stayed calm even though I thought this may not end well for me. And as you're reading this keep in mind that they were yelling at me and their words were filled with venom, anger, hate and intolerance. Hey! No pictures or we'll take your phone!!! You're on public property and I can take a picture if I want to. Oh so you're a big man with a camera? No I just wanted to take a picture and talk with you. We outnumber you and we will take your camera! You're not going to take my camera and you're not going to tell me what to do. Why can't we just have a respectful conversation. I'm not trying to do anything. I just want to try to understand and have a respectful conversation. All I wanted to do was have a conversation. We're not interested in talking to you!! I grew up in Berkeley. I marched in anti-war protests during the sixties. It's another thing to be right next to it. In my opinion, these people dressed in black are just as hateful and intolerant as the people they are protesting against. Afterward I was talking to several other protesters. One of them actually stood up for me as the people dressed in black were threatening me. They were just as disappointed as I was. They said that the people dressed in black represent a small minority and that they "hijack" the protests. 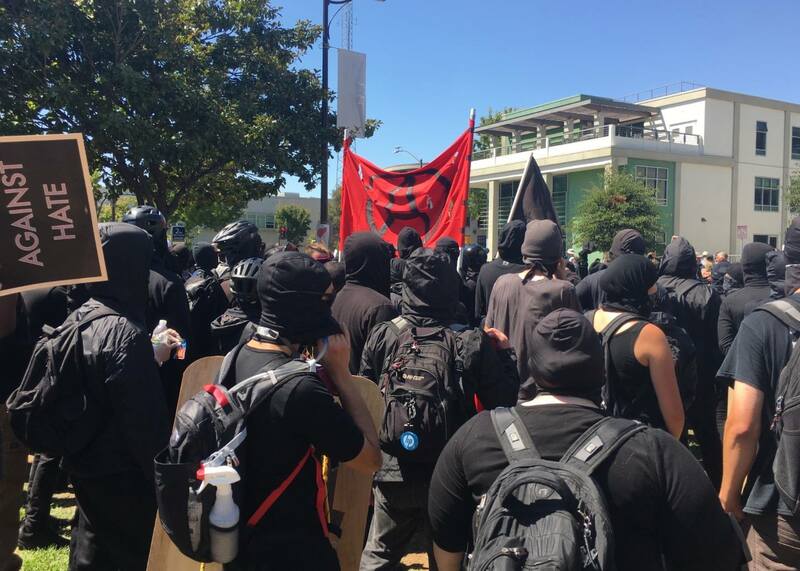 MOST of the people out there today in Berkeley were non-violent. They were there for the cause. They just wanted to come out and stand up against hate. But I do not support extremists, whether they are on the right or the left. And I experienced it first hand today.